What is Remote.ly? 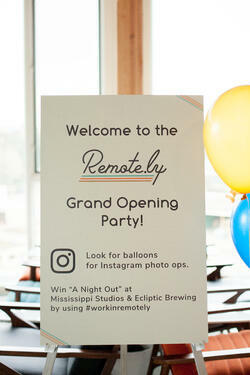 Remote.ly offers commitment-free workspace featuring guaranteed seating/outlets, free in-house barista, stunning views, and more - for just $20/day. For those who need space more often Remote.ly also offers private offices, monthly memberships, and hourly conference room rentals for small businesses. What inspired you to start Remote.ly? After being a student at the University of Oregon and then starting my first business, it became very clear to me that there was a real need for commitment-free workspace. The old options of $300/month for a co-working membership or working out of a coffee shop for $5 clearly didn't leave much of an intermediate option for remote workers who wanted a better experience but without the commitment. What types of services did you receive from the SBDC? I met with Director Tammy Marquez-Oldham and Noah Brockman of the Capital Access Team several times. Together, we put a plan together and tackled all of my financing & commercial leasing questions. With their assistance I was able to secure Class A office space lease in the heart of North Portland's Mississippi Avenue Business District. Without Tammy and Noah's assistance, I simply wouldn't have opened my company on the timeline I was seeking. They got things done faster, they broke down barriers to introduce me to new connections, and most importantly, we worked together and accomplished my business's goals! What have you done differently in your business since working with Tammy and Noah? I've attended many more networking/social events that have tangential business importance since these types of meetings can really pay off sometimes. 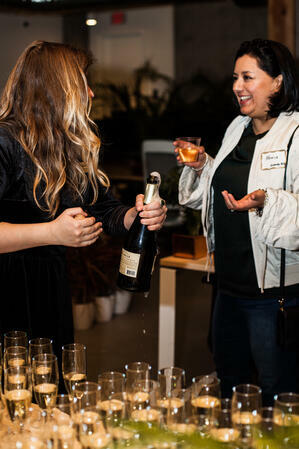 I used to avoid these types of social and networking events but Tammy and Noah showed me how valuable they can be. How is your business doing now? We opened a couple of weeks ago and have been thrilled with customer responses to-date! Thanks SBDC for helping us get our financing ducks in a row and offer the best possible customer experience from day one. What would you say to other small business owners thinking of working with the SBDC? SBDC can be very helpful; there is nothing to lose by meeting with your local SBDC team and giving it a shot! Spring Business Builders programs start in April. GET INFORMATION HERE.